Isn't solar power expensive?...... with the current provincial rebate program your cost of electricity with a properly installed system will be approximately $1.50 +/- per watt. Think of this like square footage when you would price out carpet for your home. You would multiple your SQF x the cost of carpet. If your ideal system is 5kW (which would power a large home with 4+ people) you would multiply $1.50 X 5000. If you look at your current monthly electricity bill and you applied those funds to a new solar system, your system would be paid for in a handful of years.....you then have decades of free electricity ahead of you. Alberta winters are long and snowy, how will this effect the efficiency of your system?..... 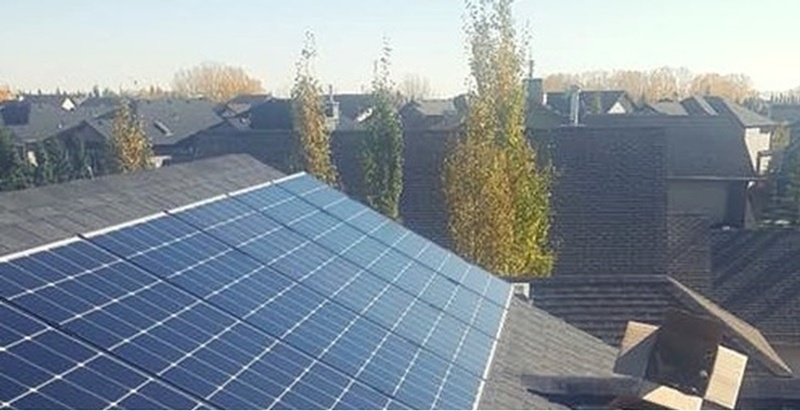 Alberta winters are an ideal environment for an efficient solar system. Like all electronics, colder temperatures make them run more efficiently. This can cause the PV cells to outperform ones that are in warmer climates. This increased performance essentially overrides the reduced hours of daylight through our winters. The snow surrounding the panels will reflect light and cause the panels to perform more efficiently. Snow that lands on the panels themselves will quickly melt or slide off as the temperature of the panel is much greater than your roof. Does it matter how the system is designed and installed?.....absolutely yes! Your system should be custom designed for your unique needs. The system will then need to be placed in a way that optimizes efficiency. The use of our advanced software will determine the ideal location for optimal power generation. Do you currently have an electric vehicle or plan to have one in the future?....... a customized solar power system will generate power for your home and fuel your vehicle. Now both your power and fuel expenses, as well as your carbon footprint are drastically reduced. How big of a system will you need and how is that determined? ...... our master electrician will meet with you to go over all of the important details. How big your property is, your typical power usage, the amount of people who reside in your home, the specifics of the power usage for your business or farm. The ideal system will then be designed specifically for you. As you can see, now more than ever a solar power system is attainable, affordable, reliable, practical and most likely the best investment you can make for your family or business budget, and for the future of our planet. Are you ready to get started? Do you have more specific questions? Let's have a chat!